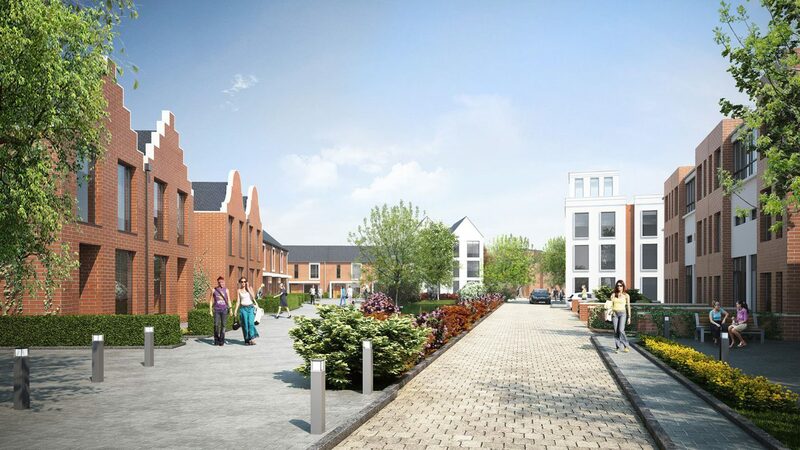 This £100m project is sited on the old Manor & Kingsway hospital in Derby and is a joint project between the Housing & Communities Agency, Derby City Council and Kier Partnership Homes. 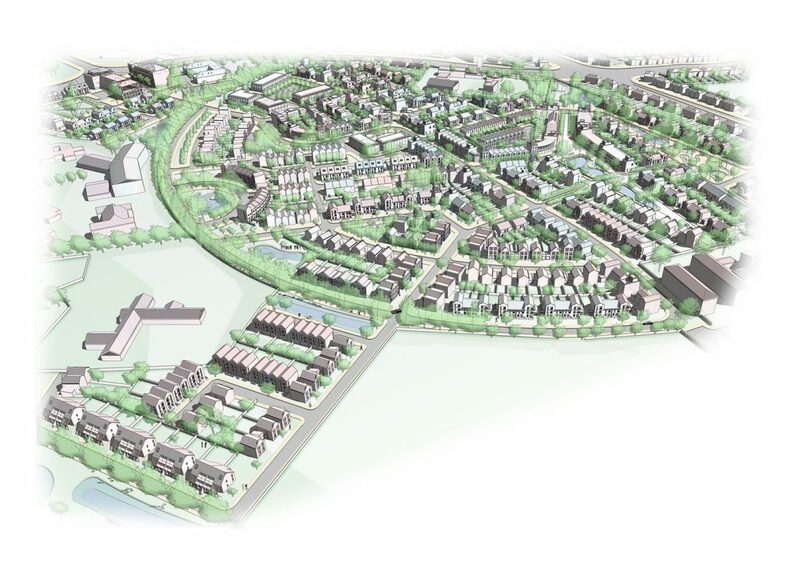 The scheme consists of 700 houses, 230,000sqft of B1 use and 5,000sqft of retail. After stiff competition from AHMM and Aedas, we were pleased to secure the architectural work on this project. 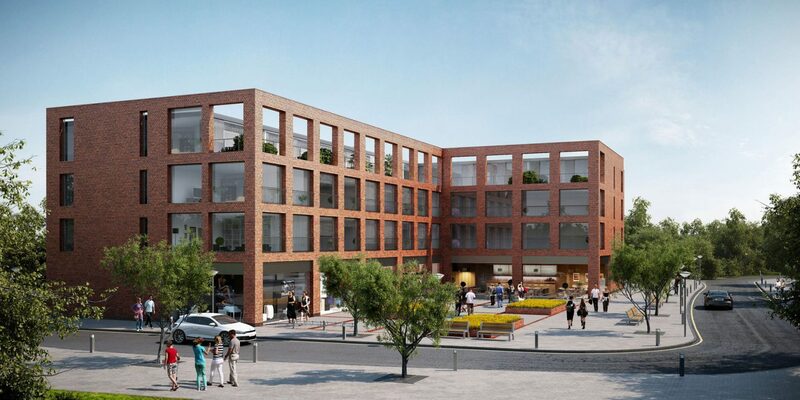 During the interview period, the quality of the architecture and the spaces that we proposed were commended by Derby City Council and the HCA. Consequently, the project has achieved the equivalent of ‘Diamond status’ on the old BfL rating system. 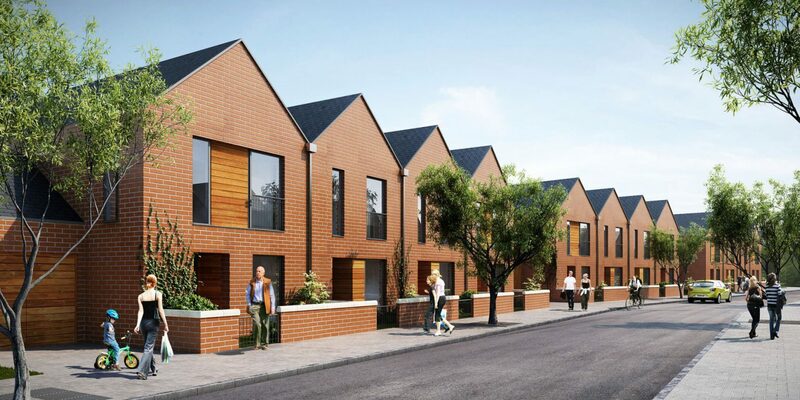 It also gained a ‘green light’ for all 12 twelve criteria in ‘Built for Life”, the new government-approved benchmark for well-designed homes and neighbourhoods.